Eat / restaurants / Pizza Please! 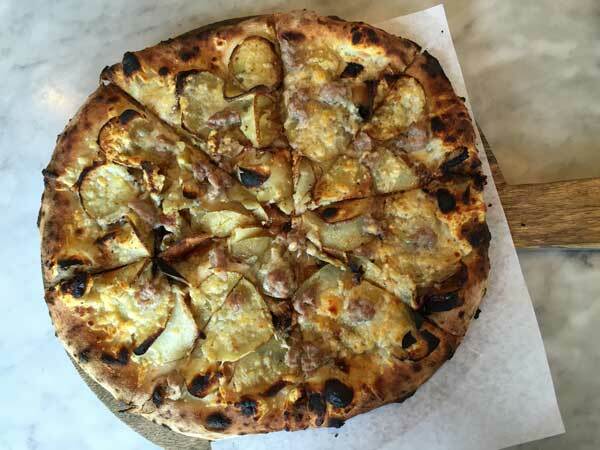 Foodie Hub, an international food blogging site that I’m affiliated with, asked me for a rundown on Connecticut pizza and I was only too happy to oblige. I needed an accessory stomach for this one (my husband is training for a bike race), so I brought along my ever willing friend, Chris Steiner. 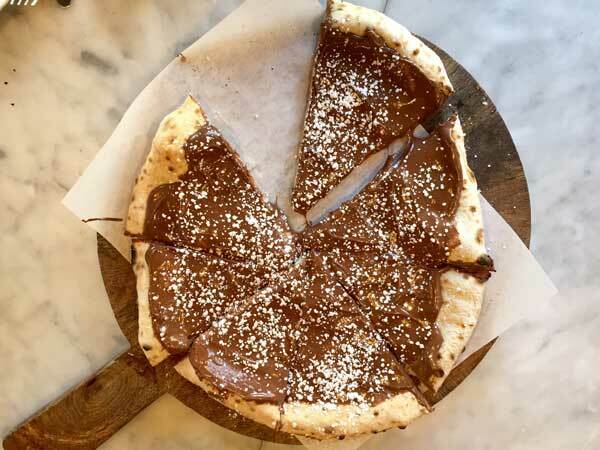 We chowed our way around Connecticut for our top ten pizza picks. 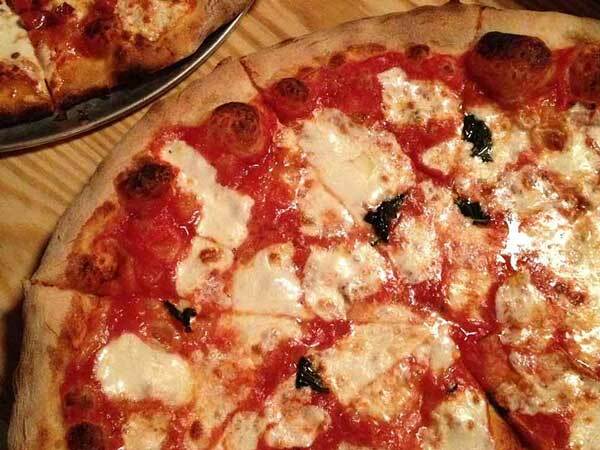 Here’s my list, separated into Old School (classic Neapolitan pie) and New School (modern takes on New Haven pizza). 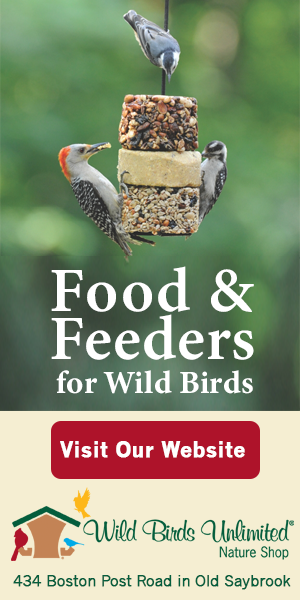 Good to know: if you’re planning take-out on the week-end, call ahead. Outdoor picnic seating available. It’s been a long time since I’ve stood in a line for Pepe’s. 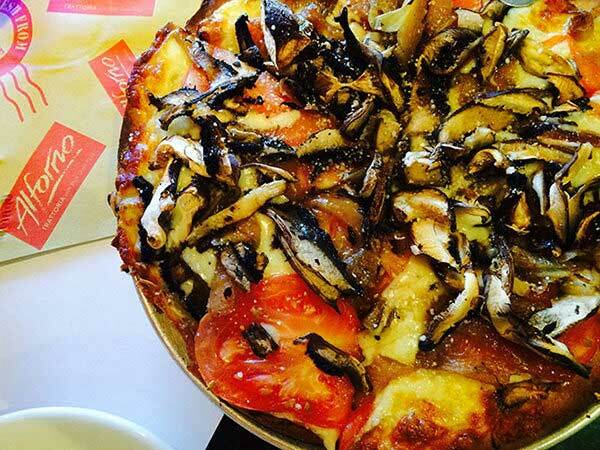 With so much great pizza available, it hardly seems worth it. And I was so ready to dismiss this venerable pie. After all, with seven locations in Connecticut, they’re not exactly a mom and pop shop anymore. Was the quality still up to snuff? A hearty YES! 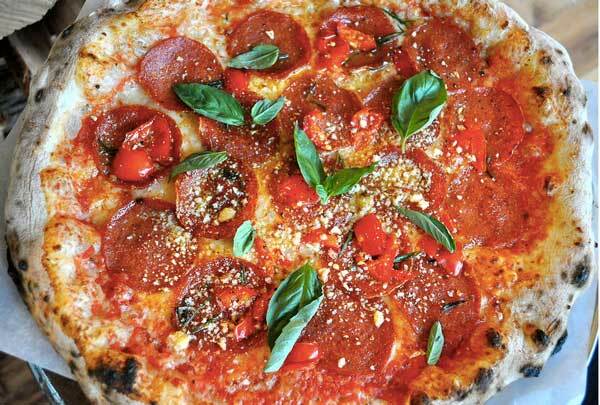 If you’re a pizza purist like me, the tomato and mooozz (yep that’s how they say it!) pie has a nicely salted, skinny crust with just a bit of char. And no insipid sauce here, bursting with tomatoey flavor and a chunky texture amplify this pie. Expect a wait, or go 15 minutes before opening. 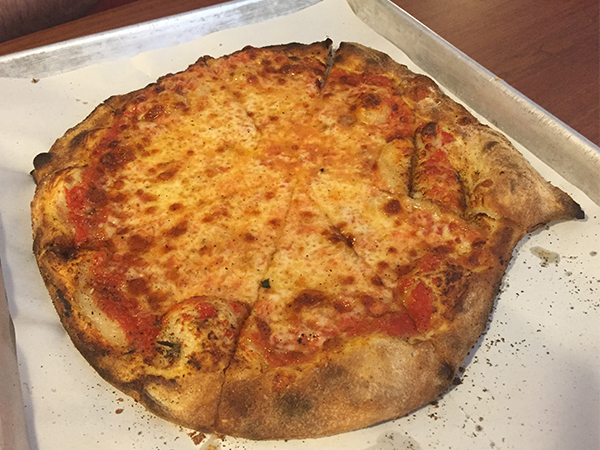 Modern was our first foray into New Haven pizza when we moved here, and I thought I found the runner up to Totonno’s in Coney Island. 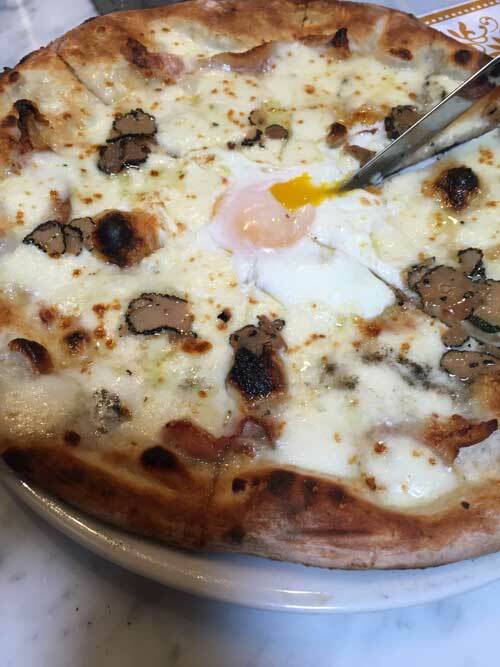 (And if you’re a pizza fanatic who’s never been to James Beard winning Totonno’s well, that’s just unforgivable). I still think Modern is the king of crust: charred, never burnt, irregularly shaped and flavorful. The place is not far off the beaten path of Worcester street, but still boasts a line most days. It’s straight up tomato and mooz for me here but regulars devour the Italian Bomb (Sausage, Bacon, Pepperoni, Mushroom, Onion, Pepper & Garlic). After Zuppardi’s pizza (see below) Modern’s clam pizza was a bit of a disappointment. 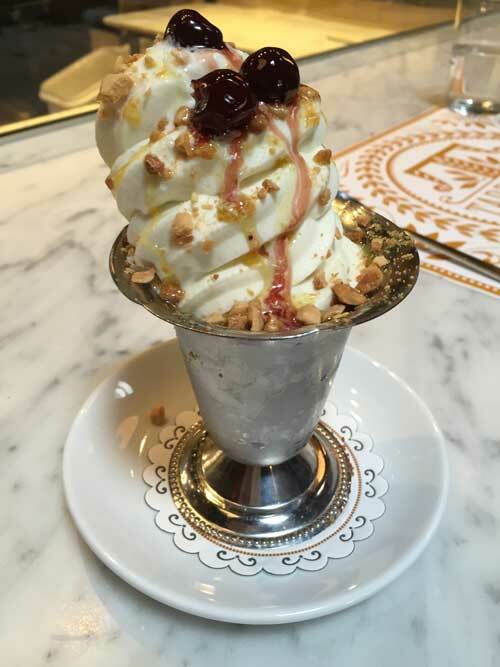 Lots of folks call Sally’s their favorite, and if we were anywhere but New Haven, we might too. 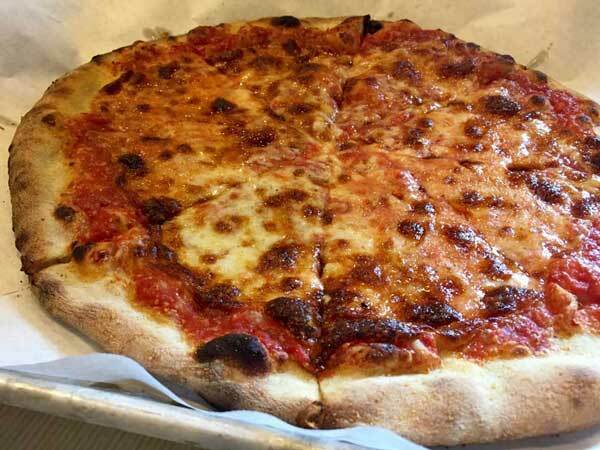 This old school, no frills joint offers up a classic New Haven skinny crust pie on an oblong metal platter, that clearly has legions of fans (John F. Kennedy and Frank Sinatra among them). 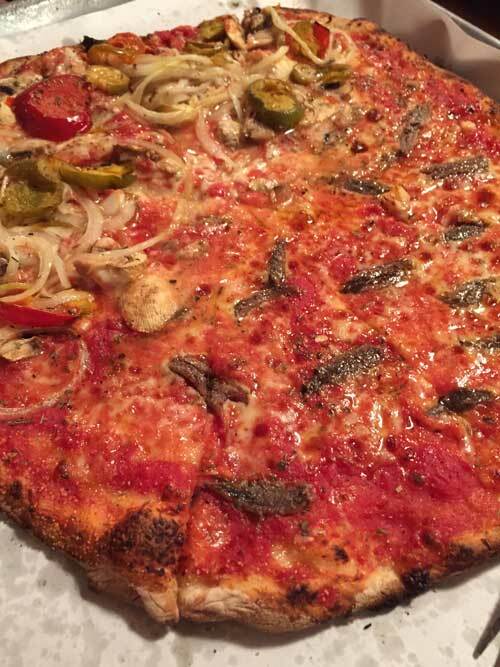 When you can’t brave the lines for other New Haven pizza, head here for a veggie pie (hot peppers lend a welcome spicy bite), or salty anchovy, which make up for the rather plain tomato and mootz. 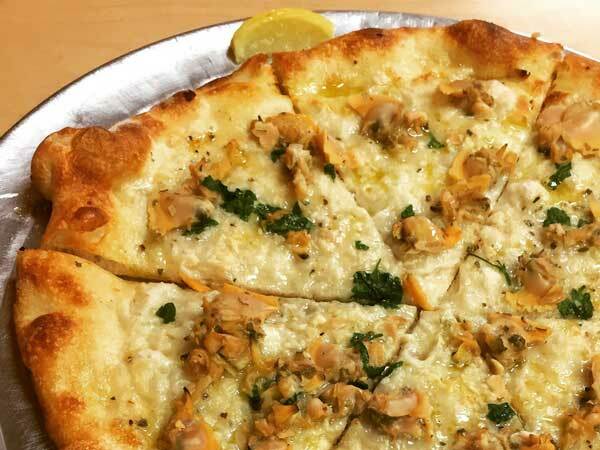 Because pizza is our favorite food, we thought it crucial that we add Zuppardi’s ballyhooed clam pie to our repertoire. Late on a Sunday afternoon, we were surprised to find the joint in West Haven empty. Was something amiss? We didn’t mind, it’s better than braving the line at Pepe’s. We ordered the clam pie and our sweet server recommended the sausage. We ordered that, too, and a plain for no good reason except to compare. The plain was plain, the sausage is fantastic (chunks of it, freshly housemade and cooked directly on the pie makes all the difference), but oh, the clam. 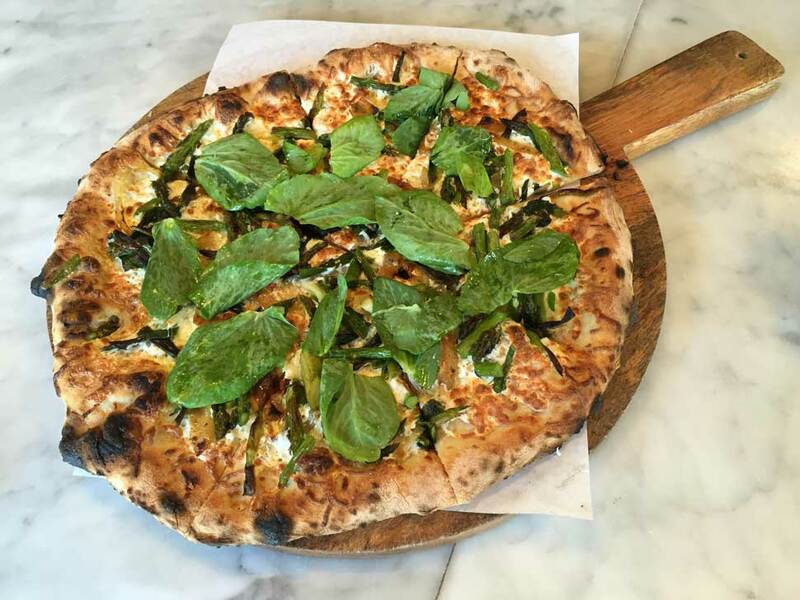 Redolent of garlic, with plump, juicy bivalves studding a thin, slightly charred crust, this is one remarkable pie. 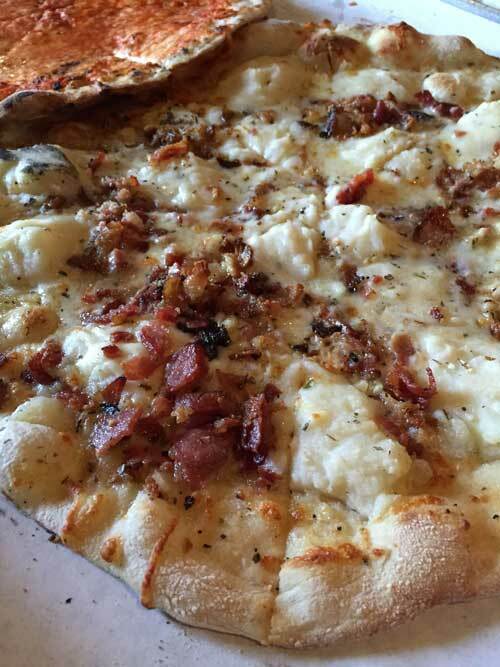 A bit of clam broth and olive oil soaks into the crust, adding even more clam flavor. Just a squeeze of lemon completes this memorable feast. Pizza heaven. Call ahead to make sure the clam pie is available. Price varies depending on the availability of fresh clams; on our visit a large pie was $40. Good to know: Zuppardi’s has a Pizza Truck for catering and parties.